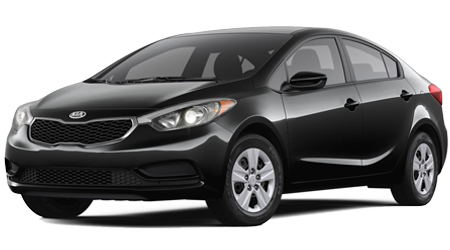 The stylish Kia Forte hardly looks like an economy compact sedan - it's too refined-looking. There is so much curb appeal in the new Kia Forte that just parking it in your driveway will increase the value of your home! Feast your eyes on the Forte's bold new front-end styling and sporty grille, then take a closer look at the dynamic LED Positioning Lights and taillights. The 2016 Forte is truly stunning, coming and going. Kia gives you a choice of several awesome Forte models, including the 2-door Kia Koupe and the hatchback Forte5. See them all at Cumberland Kia, one of the most respected car dealerships in the area. We always go the extra mile for our customers, who quickly become our friends for life. Visit our spacious facility at 1560 Interstate Dr in Cookeville, TN, and we'll show you the new Forte in all its glory. You may not recognize the 2016 Forte, with its gorgeous elongated roofline and classy new profile, but we are here to point it out in the showroom for you. We also serve Lebanon, Crossville, Mcminville, Franklin, and Chattanooga, so schedule a visit soon! The Kia Forte LX model is equipped with a powerful little 1.8L Inline 4 engine that kicks up 145 hp and 130 pound-feet of torque; the upgraded Forte EL offers a more aggressive 2.0L engine with 173 hp and 166 pound-feet. Both have Dual Continuously Variable Valve Timing (CVVT) and a DOHC 16-valve train, and both give you enviable fuel efficiency, but models with the 1.8L engine and automatic transmission get the best mileage - 26 mpg city, 39 mpg highway, and 31 mpg combined EPA ratings. The peppy Forte handles like a dream, responding to your every command with no delay. It is well-known for taming choppy, pot-holed pavement, and for superior handling in turns and on twisty canyon roads. Be sure to try out the three different selectable steering modes available on some 2016 Kia Forte models. Kia Motors has always made safety its top priority, and the 2016 Kia Forte has all the latest features you want to keep you and your loved ones safe and sound. Starting with a revolutionary impact-absorbing frame that directs crash impact away from the occupants, the new Kia has built-in peace of mind. The advanced airbag system includes side seat-mounted airbags, curtain first- and second-row overhead airbags, and airbag occupancy sensors. The crowning achievement, though, is the Forte's "smart" active headrests that yield in case of impact, to keep your noggin in one piece. Critics have been doing a double-take over the 2016 Forte's sporty appearance and playful spirit, but they shouldn't be surprised. Kia is not only one of the largest and fastest-growing carmakers in the U.S., it is also one of the most innovative. If you haven't been paying attention, Kia sedans have been thoroughly re-imagined in the last few years. Perhaps the most noticeable upgrades have been the spunky powertrain and professional handling, proving our point that the 2016 Kia Forte makes driving fun again. Test Drive the 2016 Forte at Cumberland Kia Soon! Come to Cumberland Kia for a first-hand look at all the different trim levels and hot new colors available on the 2016 Kia Forte. We are conveniently located at 1560 Interstate Dr in Cookeville, TN, and we also serve our neighbors in Lebanon, Crossville, Mcminville, Franklin, and Chattanooga. So drop by for a sneak peek and a robust test-drive, but be prepared to be blown away. The 2016 Kia Forte is unlike any mid-size premium sedan you've ever driven. We guarantee it.